I met Emma just over a year ago to discuss her wedding and I knew then it was going to be a great day. 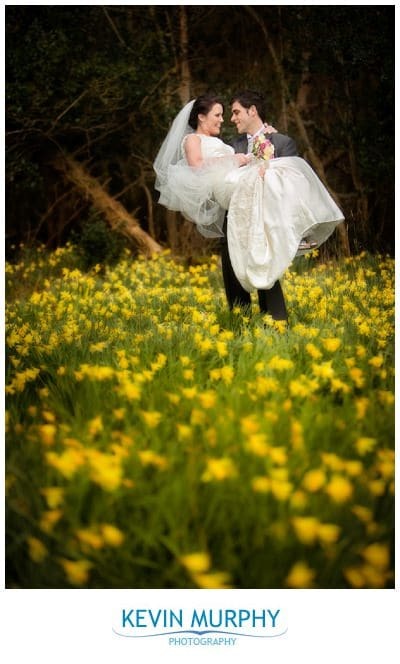 They were married in Carron church in the Burren and had their reception in The Armada hotel in Spanish Point. We stopped off at the Micheal Cusack museum on the way for some photographs of the bridal party. We were a bit unlucky with the weather, but thankfully I had visited the museum the week before so we made it through the (drizzly) photography session in record time. Emma’s bubbly personality and contagious laughter – the entire congregation joined in her giggling during the exchange of vows! The sweet cart which Denis built himself. Yep, from scratch. Even the wheels were whittled out of wood. It was amazing. The wedding car. Have a look below. Gorgeous. The hanging flowerpots in the church. Not only did they look great, but they made really nice souvenirs. The moves on the dancefloor – the first dance really set the tone and the guests weren’t long showing that they had some moves of their own! 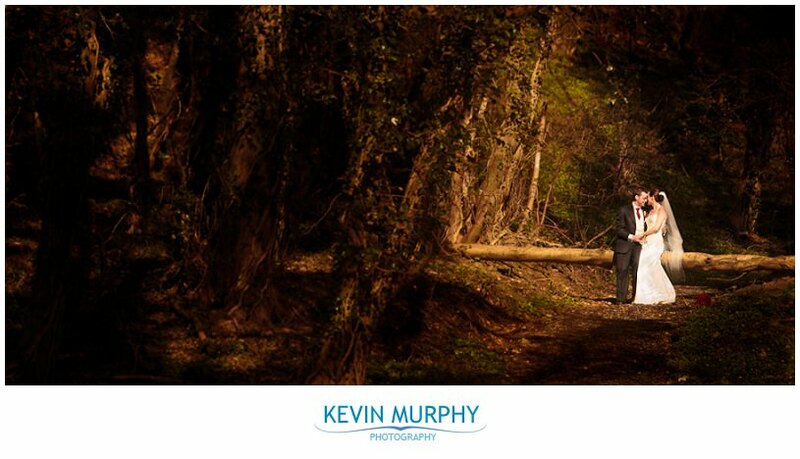 You probably recognise Ailis & Adrian from the sneak peek of their engagement photo session recently. Well, their big day arrived and what a day it was! 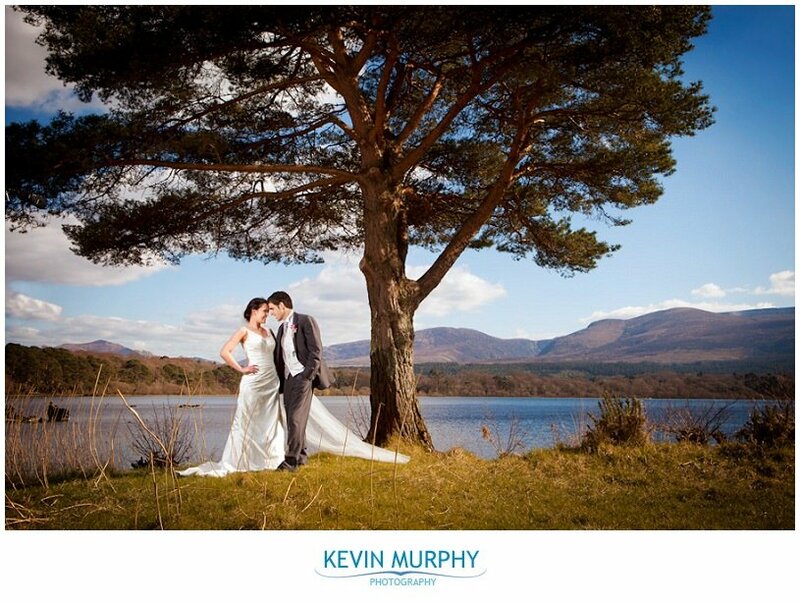 They were married in Crecora church and had their reception in Springfort Hall Hotel. Their wedding was crammed with details, ideas and lovely personal touches. Everywhere I turned there was something to photograph! The ice cream stand at the church after the ceremony. The weather wasn’t typical ice cream weather – but us Irish would happily eat an ice cream in the rain! The box of props Ailis brought along for the photographs – fake moustaches, blackboards with chalk, umbrellas – genius! The fact that everyone was up for the craic. “Micheal Flatley” revolutionising Irish dance at the reception. How Ailis & Adrian thought of everything from their guests perspective – with colouring books for the kids, a photo booth for the adults, a sweet table, speech betting slips, and load of other lovely touches. Carol and Aidan were married in St. Fachtna’s church in Glandore and held their reception just down the road in The Rectory. Despite a gloomy weather forecast, the weather played along perfectly (well… apart from one shower in the middle of the family photographs!). The location was stunning, the guests were all relaxed and having a good time and it was great to be there to capture the story of their day. The location was amazing. 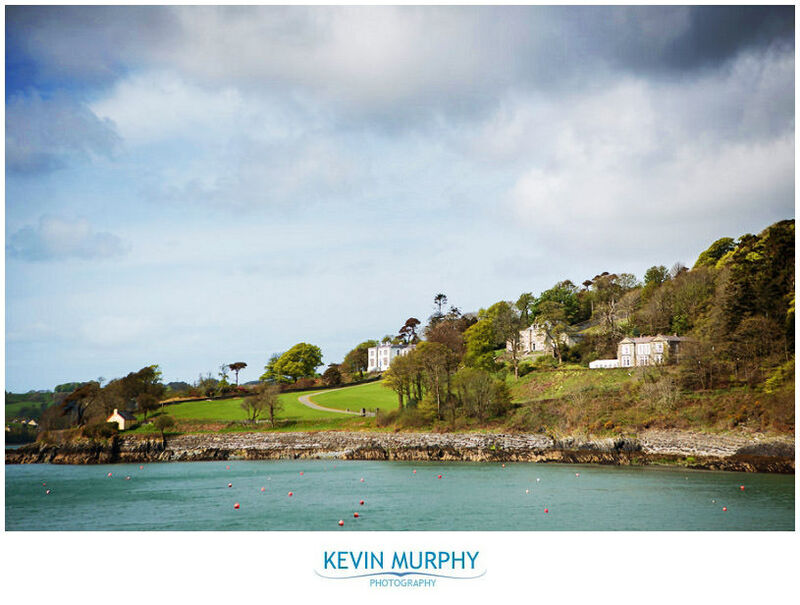 I’d never been to Glandore before but I will definitely be going back. It happened to be sunny both on the wedding day itself and when I went to do some preparation work the month before so it was looking its best. The craic in Carol’s house on the morning of the wedding. From dressing up to practicing pretend speeches it was a barrel of laughs! Anluan (the best man) and Ann Marie (the bridesmaid) were super organised and helpful and really made the day go smoothly. I loved the quirkiness and uniqueness of The Rectory. The view from the front lawn is beautiful and there are lots of lovely little touches inside too. I usually meet couples once or twice before their wedding to get an idea of their plans for the day, their preferred style of photography and so on – so I was a bit apprehensive about meeting the couple on the morning of their wedding. 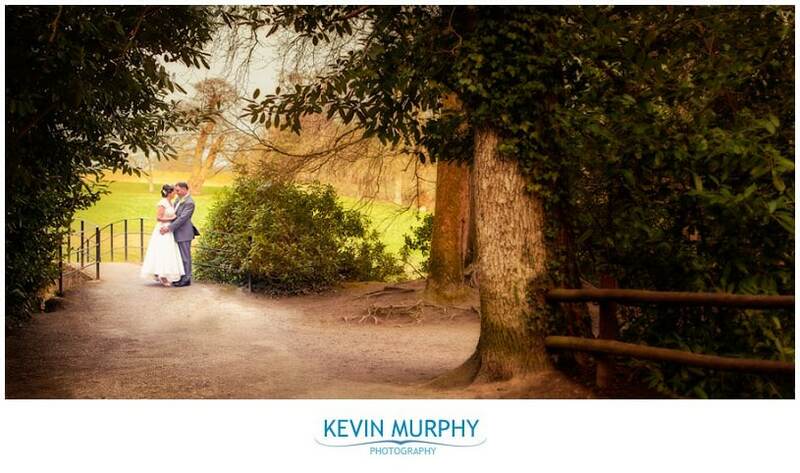 Likewise, I’m sure Siobhan and Neal were wondering what their substitute photographer was going to be like. As soon as we met I knew we were in for a good day! 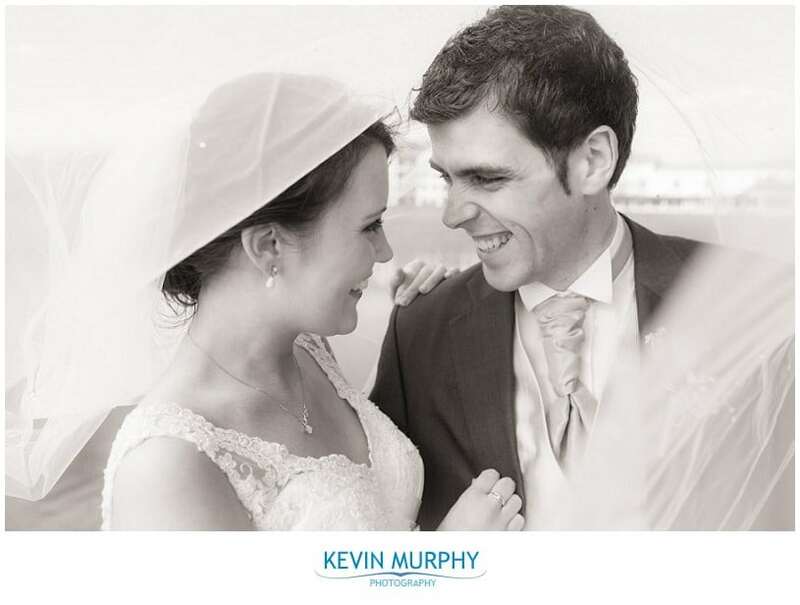 Siobhan and Neal were very natural and relaxed and enjoyed every minute of their day, which made my job easy. We got on great and I love the natural happiness and tenderness of their photographs. They were married in Barefield Church and had their reception in Carrygerry House. Siobhan’s relaxed approach to the day. Not only did she have a “surprise” photographer, but her wedding dress didn’t arrive until the day before the wedding!! She took it all in her stride. I was made promise that I would try the hors d’oeuvres at Carrygerry and I was blown away by them. Delicious! They have won a lot of awards for their food and it shows. The cherry blossom trees in full bloom at the church and the bluebells on the grounds of the hotel. A little gust of wind that caught Siobhan’s veil perfectly for the photo above. The table plan was one of the most original I’ve seen in a while. It was an old sash window, with each pane of glass representing a table and it was decorated with ivy from the grounds. Fiona and Martin were married in Our Lady of the Rosary Church on the Ennis Road in Limerick and had their reception in The Falls Hotel in Ennistymon. I always love when the priest is a good friend of the family or even a relative because it makes the marriage ceremony so personal. In this case, the priest was the groom’s brother! It doesn’t get more personal than that! The atmosphere outside the church before the ceremony was electric. I’ve never seen so much hugging! It was amazing. Martin’s giddy reaction to Fiona walking down the aisle! How comfortable, natural and relaxed Fiona and Martin were with each other for the ceremony. There definitely wasn’t any nerves! The most dramatic and enthusiastic first kiss ever. Discovering the little forest walk beside the hotel with the bridal party. We were only in there for about 20 minutes but it was very funny. The speeches were hillarious. I cried myself they were so funny. From Martin telling the story of how he asked for Fiona’s hand to referrring to his brother, the priest, as Double Oh Heaven! 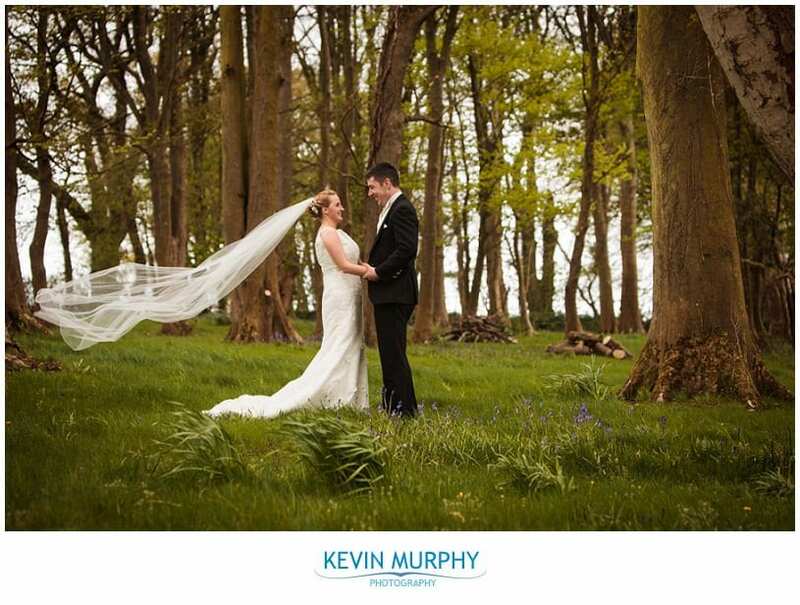 Today’s sneak peek is the wedding of Orla and Brian. 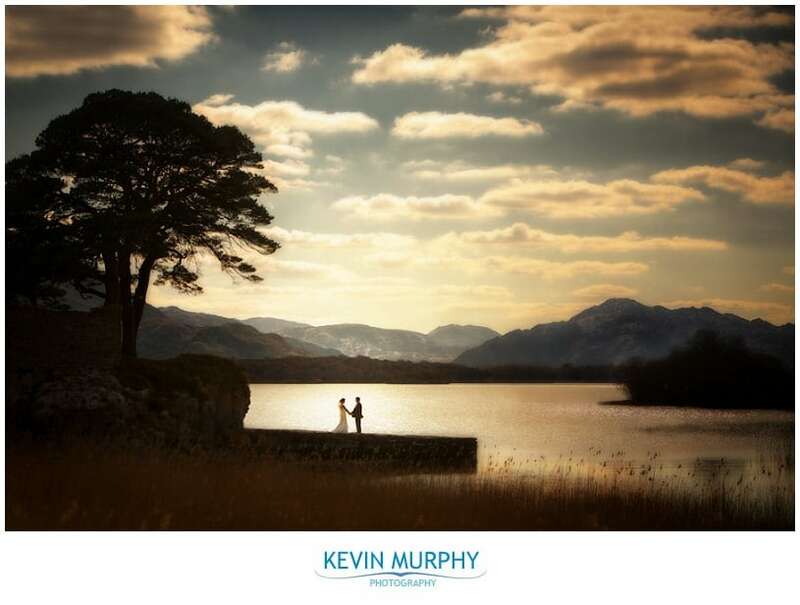 When I met Orla and Brian I knew their wedding day was going to be a lovely, welcoming, intimate day. They were married in Monaleen and had their reception in the City Suite in the Strand Hotel with panoramic views of Limerick. When I arrived at Orla’s house, in the middle of the chaos, Orla’s mother had a fresh cup of tea and some scones waiting for me. Don’t you just love Irish mammies?! 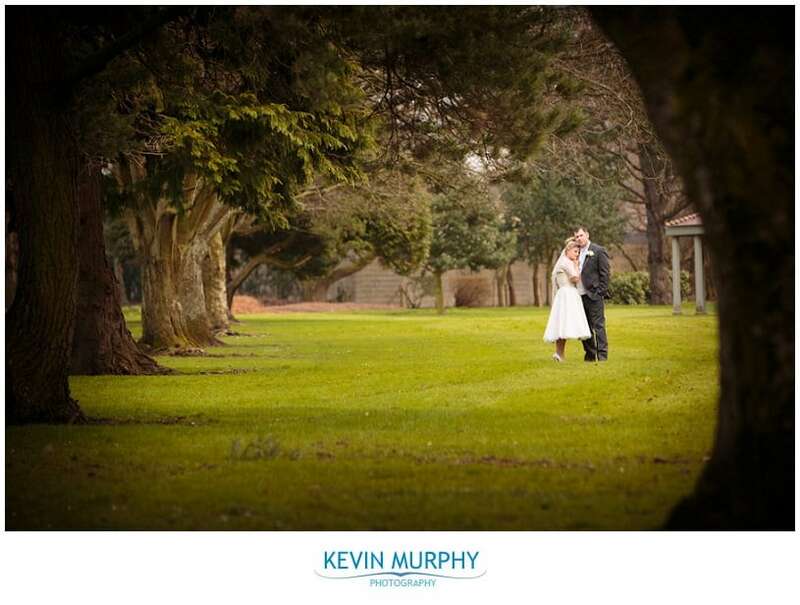 Trish and Dan were married in Rockhill Church and held their reception in Springfort Hall. They were looking for natural, fly-on-the-wall photography so I spent most of the day in “ninja mode” documenting the activities of the day from a distance. I did manage to get the bridal party on their own for ten minutes in between the ceremony and the reception to capture some nice creative photographs in Doneraile park. Fresh, vibrant daffodils were blooming around every corner and they were integrated into various parts of the day. The flower girl was one of the most well behaved children I have ever seen at a wedding. The speeches were very entertaining! In a stroke of genius, Trish organised that the children would be entertained by an animal roadshow while everyone else was having their meal. It went down a treat. The dancefloor was jammed with people of all ages throwing every shape imaginable – they were really giving it socks. 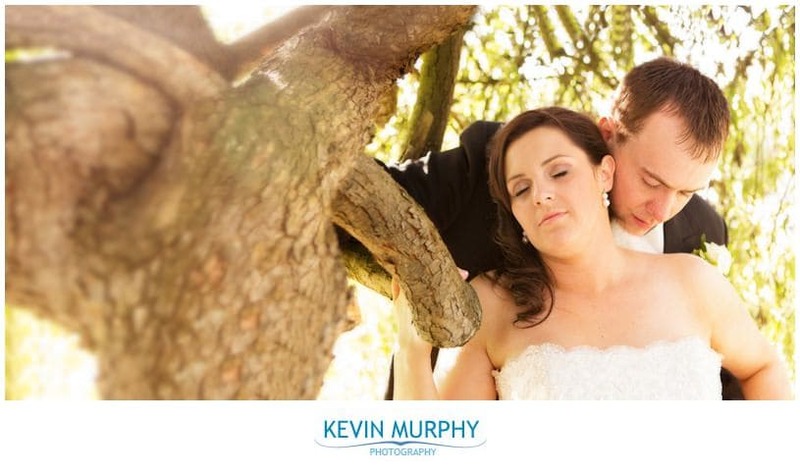 Jenny and Daniel were married in Ballyagran Church in Co. Limerick. 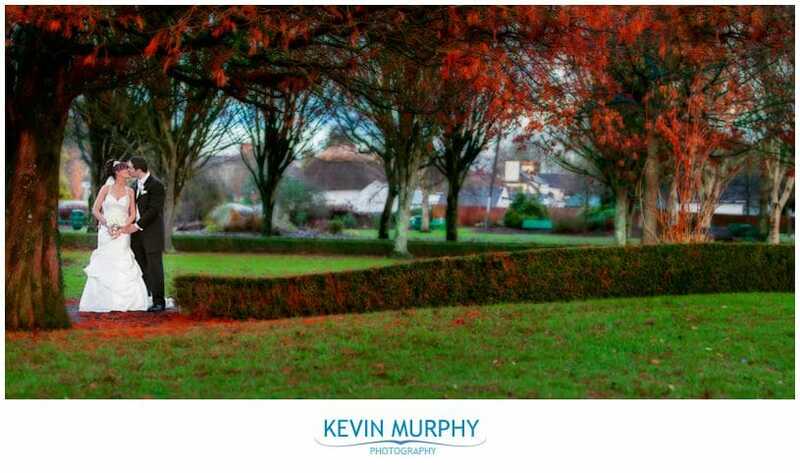 Afterwards, we stopped off in Adare and had a photography session in amongst the trees and the gazebo. It was great fun – they put the “party” in bridal party! 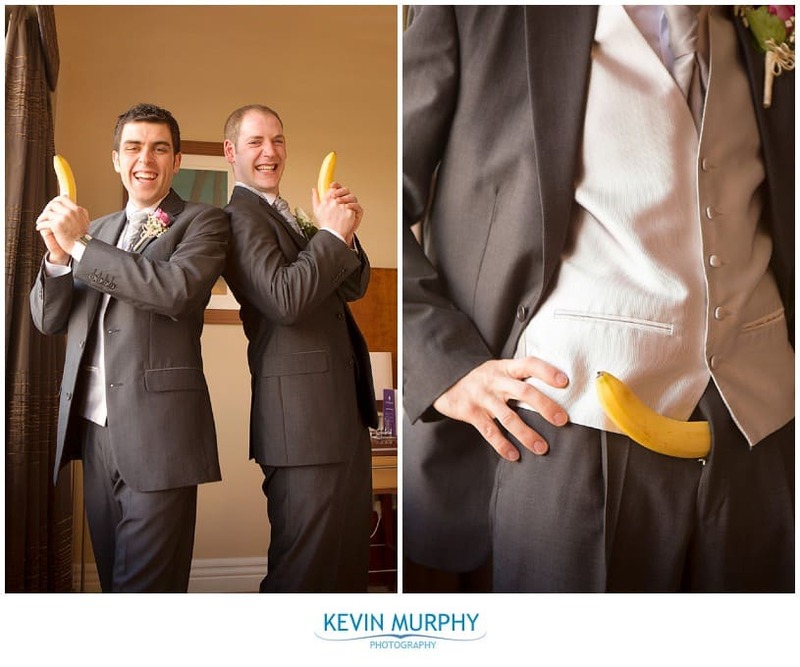 We then continued on to the Strand Hotel in Limerick for their wedding reception. Donna & Graham got married on a lovely crisp day in December. Despite the weather it was a warm wedding with both families being very welcoming and friendly. 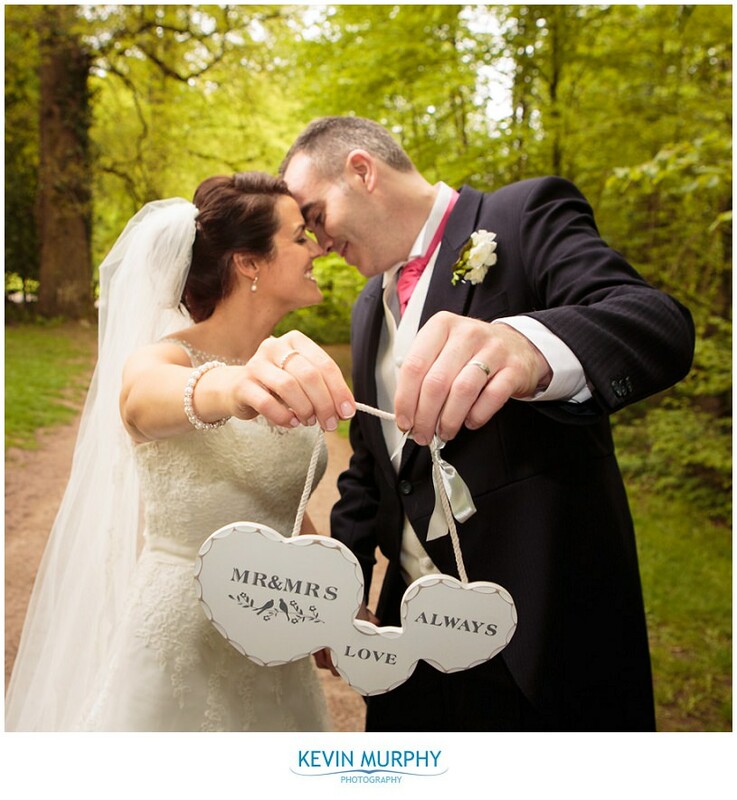 They were married in the Holy Trinity Abbey Church in Adare. Afterwards we walked across to the park and got some photographs of the bridal party. Unfortunately the park doesn’t look quite as good in the depths of Winter as it does during the Summer months, but by cleverly picking nice spots here and there we were able to get a great range of images. The reception was in the Lakeside Hotel in Killaloe. Donna & Graham really put their stamp on their day with little personal touches along the way. The fun on the dance floor – you can’t beat a bit of Elvis impersonation!